Of course, the entire world is not using Snapchat—yet—but more than 100 million people do use it every day (spending an average of 30 minutes a day inside the app), and there are 200 million active users worldwide. And Snapchat’s user numbers are still growing fast: eMarketer forecasts that by the end of this year, Snapchat will have a larger user base in the U.S. than either Twitter or Pinterest. With all those people posting all that content, it’s important for marketers to get a sense of the most important Snapchat demographics segments so they can plan a marketing strategy that maximizes the app’s unique characteristics, rather than just getting lost in the noise. With that in mind, we’ve pulled together the key details social media marketers need to know before they start Snapping. Data from the Statistics Portal backs up the common assumption that Snapchat is still dominated by the young: 60 percent of users are under 25, and nearly a quarter (23 percent) have not yet graduated from high school. 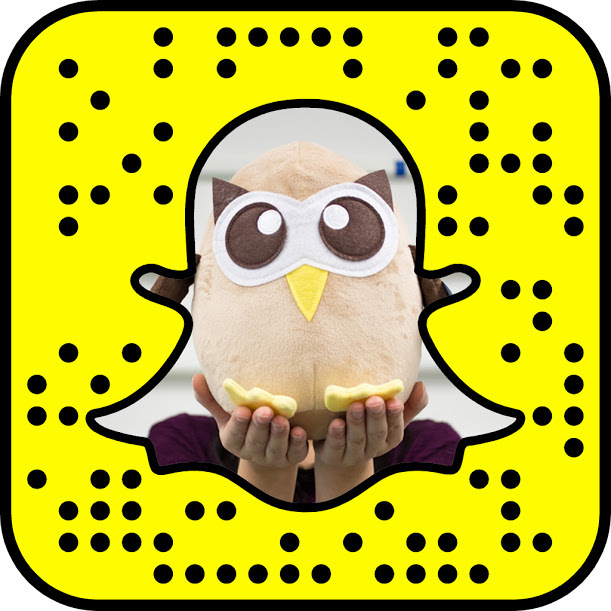 By far the largest Snapchat age demographic is 18- to 24-year-olds. This age group makes up 37 percent of Snapchat users. But well-past-college-aged 25- to 34-year olds make up about 26 percent of Snapchatters, and about 12 percent of users are aged 35 to 54. Still, Snapchat is not currently a player in the Baby Boomer market: Only two percent of users are over 55. Apart from how each age group is represented in the Snapchat universe, though, it’s worth looking at Snapchat’s penetration rate in each age category, since these numbers can tell a different story, especially since penetration in the older demographics is growing fast—more than half of new users signing up to Snapchat are over the age of 25. Three years ago, hardly anyone over age 25 was using the app—just five percent of smartphone users aged 25 to 34 and a tiny two percent of those over 35. But today, well over a third (38 percent) of 25- to 34-year-old smartphone users and 14 percent of smartphone users over the age of 35 use Snapchat. They’re gaining fast on the 18 to 24 group, for which Snapchat’s penetration rate is 69 percent. According to Snapchat’s own figures, on any given day, 41 percent of 18- to 34-year-olds use the app. Marketers should keep an eye on changes to Snapchat age demographics and be flexible when planning a longer-term strategy. Variety reported that almost a third of the 13- to 24-year-old Snapchatters they surveyed said they used Snapchat specifically because their parents did not. As more parents start to use the app, marketers need to keep an eye on how the younger user base responds. Targeting that large 18- to 24-year-old demographic and the growing population of slightly older users, FOX used a Snapchat sponsored lens to drum up excitement for its midseason Empire premiere. Superimposing Snapchatters with a pair of gold headphones, sunglasses, and a microphone, the lens also prominently displayed information about the show’s airtime. The campaign reached 27 million Snapchatters, who spent an average of 20 seconds playing with the Empire lens, creating a 16-point increase in brand awareness and an eight-point increase in tune-in intent. Empire was the most-watched show on its premiere night, and took top spot for the 18- to 49-year-old demographic coveted by TV advertisers. Snapchat does not publish gender information for its users, and reliable Snapchat gender demographics data can be hard to come by. But unless things have drastically changed in the last three years, you can bet most Snapchatters are women and girls. The Wall Street Journal reported in 2013 that roughly 70 percent of Snapchat users at that time were women, a figure that came from Snapchat co-founder and CEO Evan Spiegel himself. A Harvard survey from fall 2015 confirmed that a significantly higher percentage of women use Snapchat than men, with 42 percent of the female 18- to 29-year-olds surveyed saying they had a Snapchat account, compared to 31 percent of male respondents. That survey also showed Snapchat was the fastest growing social network among all respondents, so those numbers have likely increased in the last year. That high usage among young female users made Snapchat a natural fit when bareMinerals launched its Blemish Remedy acne product. 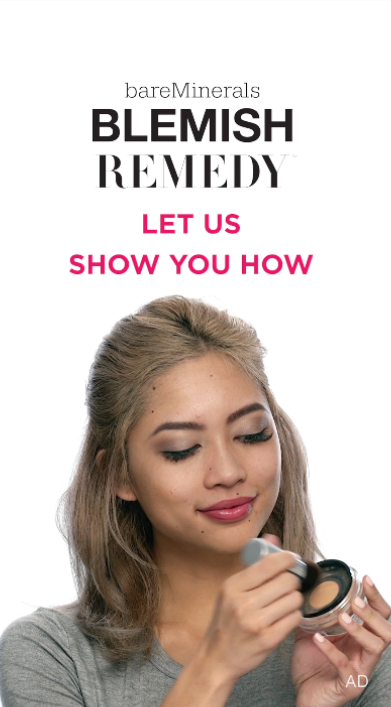 With a campaign dubbed “Zit Happens,” the makeup company created a how-to Snapchat video showing girls how to hide their pimples. Thirty percent of the 1.9 million Snapchatters who saw the videos swiped up to learn more and spent an average of 30 seconds learning about the product. bareMinerals saw the search traffic for the Blemish Remedy product on its website double after the campaign. Image of bareMinerals Snapchat ad via Snapchat. Snapchat has its highest penetration rate in Ireland, followed by Saudi Arabia and Sweden, according to the Global Web Index, with India, the United States, the United Arab Emirates, Canada, Belgium, the United Kingdom, and France rounding out the top 10. The Global Web Index figures, which are based on internet users aged 16 to 64, show that Ireland has a Snapchat penetration rate of nearly 20 percent, compared to about 10 percent in the United States. If those numbers seem low, it’s because they include users up to age 64 (remember that only two percent of Snapchat users are over 55), and because they include users who only access the internet from a computer—putting the mobile-only Snapchat out of reach. Back in 2013, AllThingsD reported that 25 percent of smartphone users in the United Kingdom used Snapchat, along with 50 percent of smartphone users in Norway, based on numbers from Snapchat’s Evan Spiegel. With that diversified global reach, Snapchat is a good platform for campaigns with a global message, like (RED)’s global one-day-only Geofilters marking World AIDS Day. For each use of a Geofilter, the Bill & Melinda Gates Foundation donated $3 to (RED) for its work in the fight against AIDS. The campaign reached 14 million Snapchatters and had 76 million total views worldwide—and those who saw the filter were 90 percent more likely to donate to (RED), even apart from the money raised by sharing the Geofilter itself. This summer, (RED) launched another unique global campaign with The (RED) Kitchen Snapchat cooking show, in which celebrity chefs shared bite-sized cooking lessons with Snapchatters around the world as part of the Eat (RED) Save Lives initiative. College students are more likely to have Snapchat accounts: 53 percent of college students surveyed said they had a Snapchat account, compared to 46 percent of all 18- to 24-year-olds. Snapchat users have no particular political affiliation: 39 percent of Democrats, 37 percent of Republicans, and 35 percent of independent voters said they had Snapchat accounts. 40 percent of young Snapchat users identified as White, 25 percent identified as Black, and 34 percent identified as Hispanic. Snapchat users are young, female, and well distributed throughout Europe, North America, Asia, and the Middle East. While Snapchat use among adults up to age 55 is growing fast, Baby Boomers are still a tiny fraction of the Snapchat user base. As Snapchat demographics start to shift, it will be interesting to see if the young people who currently love Snapchat as the social network their parents haven’t discovered yet continue their love affair with the app. For now, they’re highly engaged, posting like crazy, and willing to interact with brand content that speaks to them. Now that you understand who’s using Snapchat, you can start using Snapchat for business, develop a Snapchat strategy to target your brand’s key demographic, discover some Snapchat hacks to make your Snaps stand out from the crowd, and learn how to craft the perfect Snapchat Story.